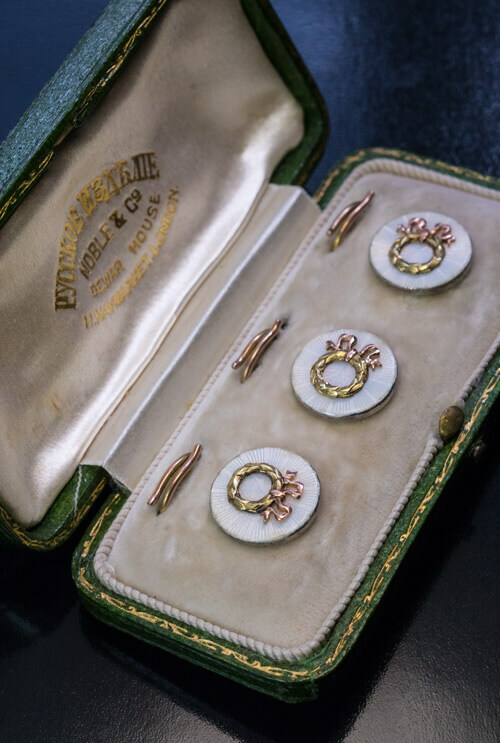 Originally, it was a set of three Faberge tuxedo shirt studs retailed by Noble & Co of London (original green leather case). 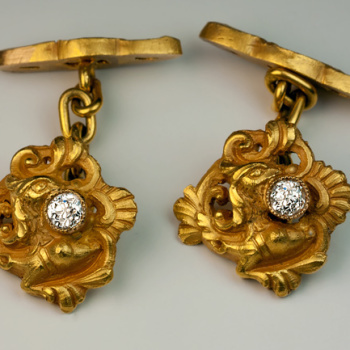 This set was sold at Sotheby’s auction in New York on 10/23/2014, lot 5 for $8,750. 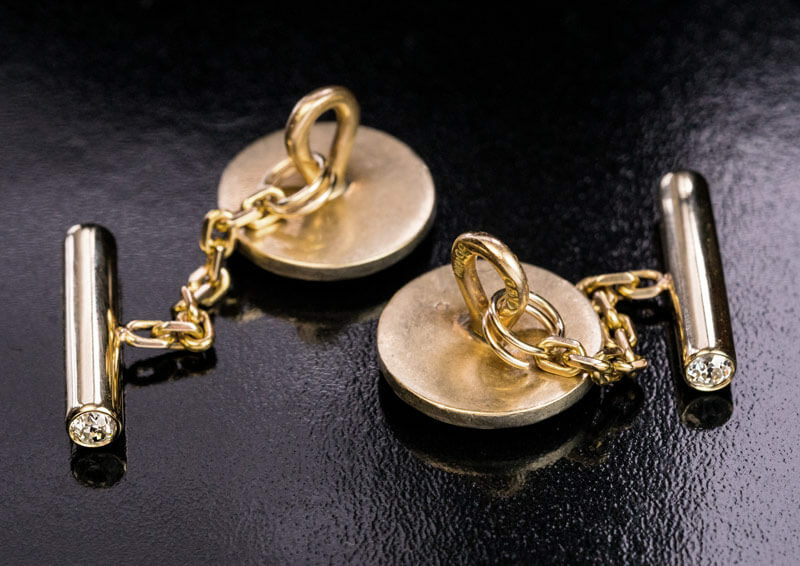 We recently acquired the studs and converted two of them into a pair of cufflinks by adding two gold bars set with four old European cut diamonds (total weight 0.34 ct) and antique gold link chains. 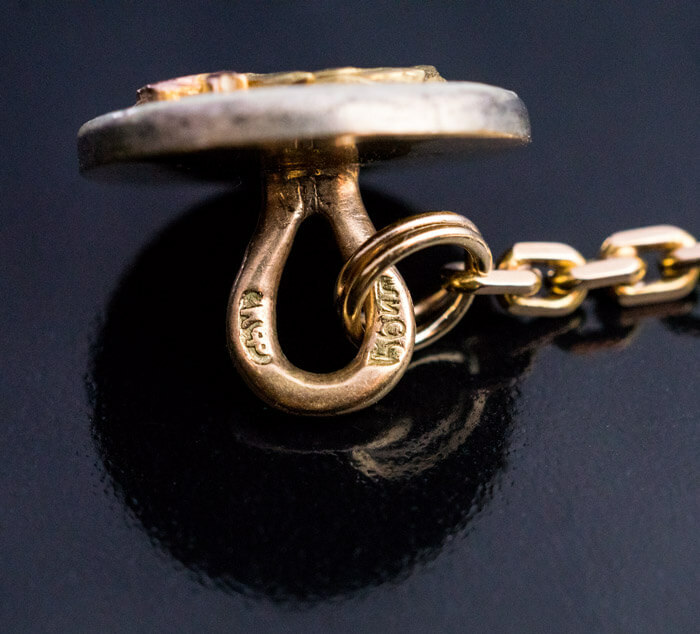 The chains are attached to the studs with gold split rings. 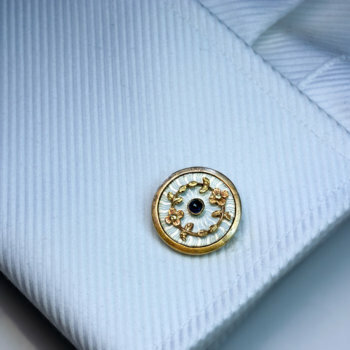 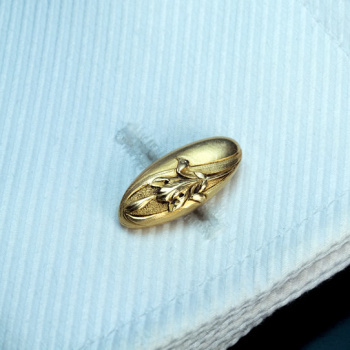 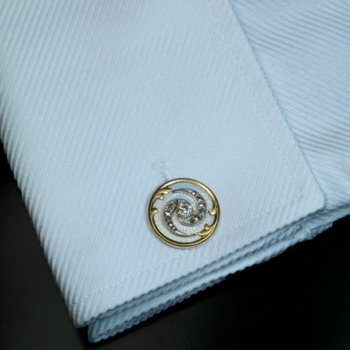 Now they can be worn both as cufflinks and as shirt studs. 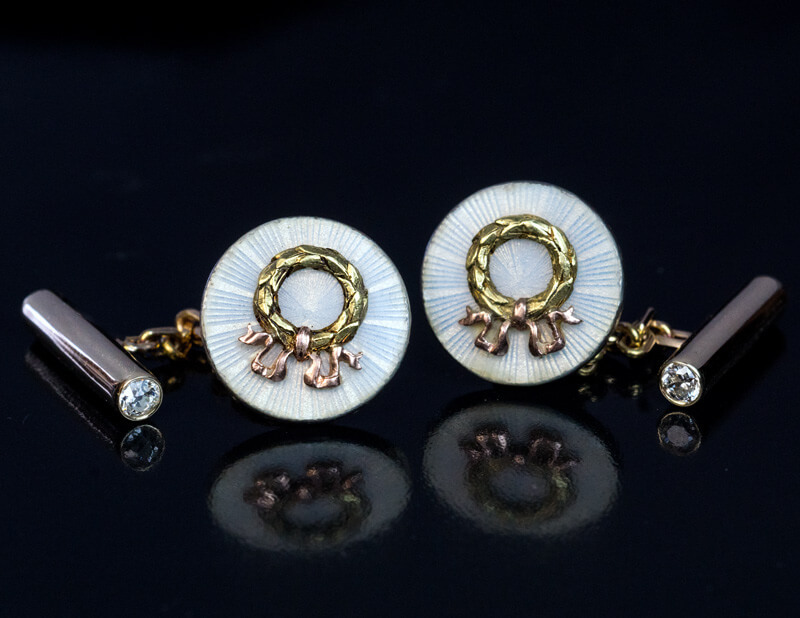 All three studs are marked with 56 zolotnik Imperial gold standard with initials of Moscow assay master Ivan Lebedkin (ИЛ) and maker’s initials ‘КФ’ for Carl Faberge. 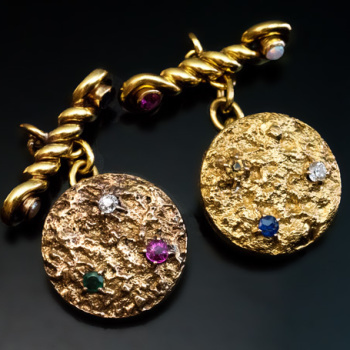 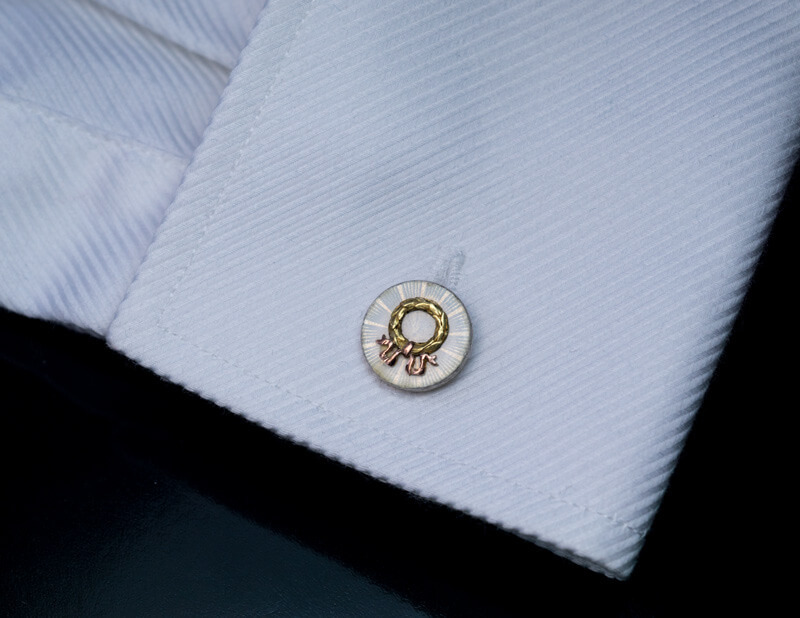 The circular gold studs are covered with oyster white guilloche enamel. 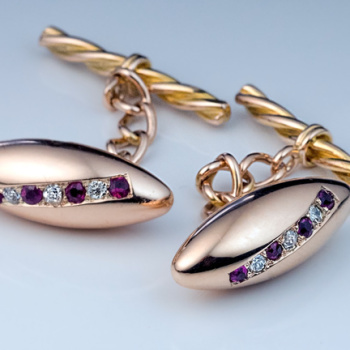 Each stud is centered with a neo-classical chased green gold laurel wreath tied with a rose gold ribbon.